Like any complex topic, electromagnetic theory has its own vocabulary. When speaking about dielectrics we may refer to their permittivity, and discussions on magnetic circuits might find terms like reluctance and inductance bandied about. At a more practical level, a ham radio operator might discuss the impedance of the coaxial cable used to send signals to an antenna that will then be bounced off the ionosphere for long-range communications. It’s everyday stuff to most of us, but none of this vocabulary would exist if it hadn’t been for Oliver Heaviside, the brilliant but challenging self-taught British electrical engineer and researcher. He coined all these terms and many more in his life-long quest to understand the mysteries of the electromagnetic world, and gave us much of the theoretical basis for telecommunications. To say that Oliver Heaviside’s early life stacked the deck against him is more than a mild understatement. He was born in 1850 in the same gritty London neighborhood that Charles Dickens grew up in, surrounded by the same sorts of characters bred from poverty and the societal changes forced by industrialization. Oliver’s own father, a wood engraver for the publishing industry, saw his trade become irrelevant due to technological advances. The four Heaviside sons suffered from the resultant poverty, as well as the physical abuse doled out by their embittered and frustrated father. Oliver attended school for only a few years, during which time he showed promise. Family circumstances prevented him from continuing his formal education, and by 16 his academic career was over. But what the family lacked financially they made up for in connections. His mother’s sister had married the great physicist Charles Wheatstone, who took Oliver and his brother Arthur under his wing, putting them to work in Wheatstone’s Electric Telegraph Company. Like his formal education, his foray into gainful employment would be successful but short-lived. He did manage to publish several scholarly papers on electrical measurements during his time in the telegraph industry, including improvements to his uncle’s famous Wheatstone bridge circuit. His work was good enough to earn praise from famed scientist William Thomson, Lord Kelvin. But Heaviside had a difficult personality that grated on his managers and peers, and he suffered from vague and unspecified ailments that he was sure would worsen if he continued to work. So at the age of 24, he gave up his position and went to live with his parents. Heaviside would never be employed again in the traditional sense, but he was by no means idle. He began a long, productive period of independent research, working largely in isolation in a spare room in his parents’ house. He explored the problems of transmission lines, like the long-noted “skin effect” where the high-frequency alternating currents tended to flow toward the outer surface of a conductor. Heaviside was able to mathematically explain the skin effect for the first time. During this same period, he patented the first coaxial cable, described as “two insulated conductors … one of them inside the other,” for the purpose of reducing mutual inductance between circuits. One of his major accomplishments was a simplification of the by-then famous but fiendishly complex set of equations James Clerk Maxwell expounded in his Treatise on Electricity and Magnetism. Heaviside’s recasting of the equations in vector terminology resulted in the four equations now taught today as Maxwell’s equations, and gave Heaviside the tools he needed to continue his explorations of electromagnetism. As the action in the communications industry shifted from telegraph to telephone in the latter part of the 19th-century, new models that described the circuits between transmitter and receiver were needed. Oliver’s brother Arthur was by then an engineer working on telephone lines and trying to conquer the problem of distortion in long-distance connections. Arthur had noticed that as the number of telephones added to a transmission line in parallel increased, the perceived distortion on the line decreased. He turned to his brother Oliver for an explanation. Oliver delved into circuit theory to explore the problem and came to the conclusion that the only practical way to decrease distortion would be to increase the inductance of the transmission line. By adding inductors of exactly the right value in series spaced at precise intervals along a line, the frequency response of the line in the voice frequencies would be flattened and noise reduced. 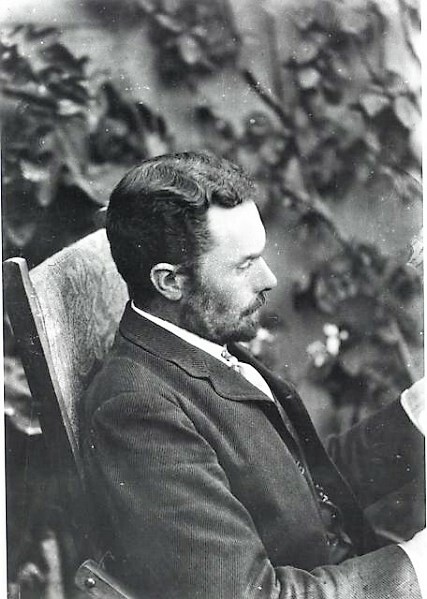 Arthur Heaviside presented his brother’s findings to his superiors in the British Post Office, but the “loading coils” that Oliver prescribed were not adopted, due perhaps to his abrasive manner. Despite being bitter about the rejection, Heaviside continued his research. He turned to the exploration of electromagnetic radiation and in 1902 predicted the existence of a layer of charged particles in the upper atmosphere that would be capable of reflecting radio waves. Predicted independently by American electrical engineer Arthur Kennelly, it became known as the Kennelly-Heaviside layer. Physicists were skeptical of its existence until it was proven in 1924; we now know this as the E-layer of the ionosphere that makes long-distance radio communication possible. By the turn of the century, Heaviside received widespread recognition for his achievements, earning a Fellowship in the Royal Society in 1891. He would continue his research, living on a stipend from the Royal Society, and eventually become the first recipient of the Faraday Medal. But his later years were difficult; his declining health and increasing eccentricity caused him to withdraw into deeper isolation. He replaced the furnishings in his house with blocks of granite and wandered around in a disheveled state with his fingernails painted bright pink. In February of 1925, at the age of 74, he fell from a ladder and died. Oliver Heaviside’s life was anything but ordinary. He shunned the companionship that most people seek, replacing it instead with a drive to understand the nature of the electromagnetic world. He was able to turn the liability of a lack of formal mathematical training into an asset, simplifying the formulations of Maxwell for everyone, and giving himself a framework to understand a complex and wondrous world. That he laid much of the theoretical groundwork for the communication networks that we enjoy today and yet received little in the way of recognition and nothing in compensation is sad, but perhaps the only way his story was likely to end. ← Want to Learn Ethernet? Write Your Own Darn AVR Bootloader! A cross section of the man, illustrated with the man over a cross section of a coax. Nice. Always love the illustrations around here. The coax halo is really striking. Neat article, great man. I’m surprised we don’t shield power line transmissions like communications. I think there must be some reason why not that isn’t disclosed well that like Heaviside… can drive people mad if not strange. I still think there has been sound and/or EMF mind control technology around since the time of Volta, Galvani, Aldini and Ure to influence targets by those that gang stalk for whatever the reason is. I wonder if earlier even since the Greeks knew how to design light and sound reflecting systems to target energy into a focused point, i.e. amphitheaters and solar ray weapons. The earliest I’ve found more-so directly attributing is in London and we all know how secretive the City of London has been, can be and still is. Interesting all the disinformation or tangential info now days like with other controversial issues to lead on. My guess is Oliver Heaviside was one of the first target individuals. I have spoken to Matron and it appears that one of the nurses left Mr. Finch alone in the library when she was called to assist in dealing with another patient who had attempted to throw himself out of a locked window. A regrettable incident, but unavoidable under the circumstances. Some of the librarians I’ve grown up with sure know how to induce connections to coax some oliveher heavyside energy flow. I guess that is why I enjoy reading. Shame others have issues. 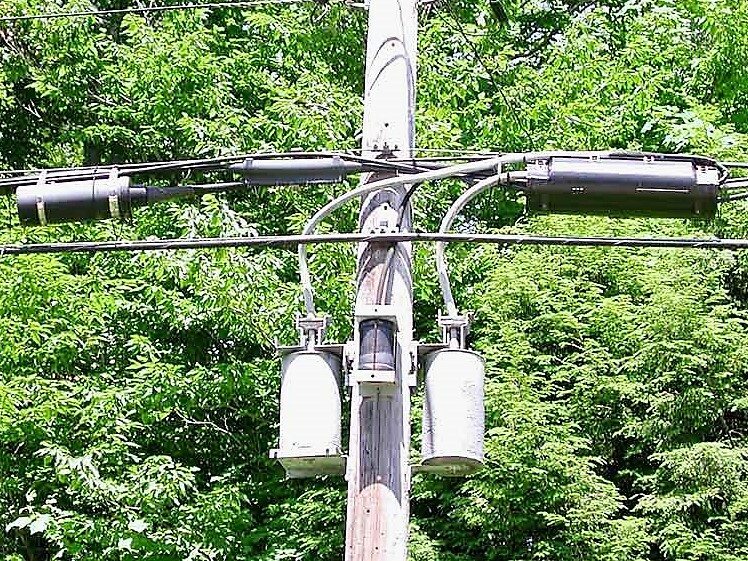 There is a reason that we don’t shield power lines: cost. Simply stated, coax is a LOT more expensive than just running two wires next to each other. Also, what would be gained? The lines oscillate at 50 or 60 Hz (depending on continent). There is no useful radio at that frequency, so no worries..
Plus, coax will have higher capacitance, which means increased losses. Yeah, sending power over coax would actually help in the event of a major solar storm, but the economics don’t really make that practical when you have shareholders breathing down your neck. There have been a lot of coaxial power cables, read about Dr. Sebastian de Ferranti who invented the paper insulated cable. Coaxial power cables are in widespread use today but not much for long very high voltage lines because of – cost. Using wave-guides for power transmission. That’s super fascinating. I assume a very specific set of applications call for such a specialized high-power transmission system. I wonder what the longest run of this kind of transmission was, and how much did it cost? Besides the wavelength at 60Hz is 4.9965e+6 meter which is very long even in planet scale. Your regular transmission line isn’t long enough to be an effective antenna. There won’t be much bandwidth for radio. https://en.wikipedia.org/wiki/Extremely_low_frequency – for people that talk to subs. Makes sense. I’m still thinking single wire though I’ve wondered if a high magnetic permeability material would help improve efficiencies by reducing losses since would increase the skin effect depth and reduce resistance. I think I am thinking correctly. I’ve wondered in the core of the wire or seems just wrap the wire with alone would shield and still increase skin effect depth. Why don’t we shield power lines? Cost versus gain. Mind-control technology, huh… Highly doubtful. We don’t have enough understanding of the mind to do that today, let alone processing power. They certainly didn’t in the eighteenth or nineteenth centuries. It’s a big leap from designing a telegraph to manipulating a quadrillion synapses in a deliberate and productive manner. And the Greeks? No. Making a parabolic acoustic reflector is not in any way mind-control. This is a classic textbook delusion. I’m not saying this to be mean. I’m saying this because it may improve your life immensely to get help. I know people in my life who have delusions of mind control and a fear of electromagnetic fields, people like Chuck McGill in Better Call Saul, who removed all the wiring from his house and walks around with a mylar blanket to block perceived rays of electromagnetism. It’s a pretty common paranoid delusion. The Military Industrial Complex, Defense Contractors, Security, Health Care and even Hackaday exists for a reason. Consider, checks and balances when systems fail and aren’t effective at situational awareness and operations capabilities and performance. Late summer is a great time for sporadic-E skip. I remember one summer at school in western Massachusetts, tuning around on the TV and picking up a station (channel 3?) out of Chattanooga TN. Aha! So, that’s where from Wolverine took his haircut. …it is a bit on the heavy side. I have had long distance FM from many points west all the way to Nevada in Indiana. That is from tropospheric propagation most likely. The MUF rarely goes up that far but it can. These layers are why I Love Lucy is out there in space and War of the Worlds is not. Who made Star Trek possible? Desi-Lou productions, could there be a conspiracy by the redhead overlords of the Galaxy? Heaviside was a redhead I believe. Desi Arnaz brings about some Cuban thoughts with a range of fun discussion topics. I just read that he made four guest appearances as a Spanish matador named “Señor Delgado” in 1967-79 when he was executive producer of The Mothers-in-Law. Which brought about reminders of Dr. José Delgado of course 1963 demonstration with a bull mind controlled. I wonder what his act was like as Señor Delgado taming audiences? I was thinking also there was more to write about regarding Heaviside including adding more references. Glad to see in the discussion topic. Also Gamma Waves are in the 50-60Hz range and have a controversial disclosure also. Seems by now there would be more conclusive quantitative data relating to function of activity range and external frequency effects like noted by Rasmussen where harmonics I’ve theorized can be produced from power lines that can cause effects when focused… especially when thinking TDR tuning of circuits to be more selective on nodes maybe like a fractal antenna or just as an antenna with others coupling signals mixing to manipulate human body resonance effects. Dang! Now I’ll have to read a biography. How did he learn Gibb’s vector calculus and master it? And where did he find it? Most sources cite both Gibbs and Heavyside as the main creators of vector calculus. Others, notably UC-Davis, refuse to recognise Heavyside’s contribution at all. A bit ironic as most of the U.S. scientific community at the time refused to recognise Gibbs’ contribution as they felt he was a bit too ‘European’ in his outlook. I thought their refusal was because Gibbs didn’t use the Squeeze Theorem as part of his proofs. Must have gotten the wrong info. I wanna know the answers to those questions as well. Also, I hate you now because I’m slapping myself in the face for not knowing how there was an easier representation of the Dirac delta function via integration. Nice article. Something that gets more rare on HaD every day. Though you should have mentioned operational mathematics more given its importance and the length of time it took the mainstream mathematics community to formulate the rigorous proofs of what Heaviside was doing. I suspect that Oliver Heaviside made life a lot easier for Paul Dirac. Heaviside was not afraid to simplify, create, or plain break the rules of mathematics of his day to get his results. It was one of the things that caused him a lot of grief and shunning from the professional mathematicians and physicists of his day–even if he got correct answers that nobody else could with the old methods. For those who want some gritty details, some years ago the mathematics blog “Dead Reckonings” explained “Heaviside’s Operator Calculus”, where he broke the rules of calculus notation and convergent/divergent series to get what he was aiming for. Many of his methods were rediscovered in a mathematically-acceptable way later. He certainly had influence on many later physicists, including Dirac’s delta function. (And Dirac himself was trained in practical engineering before physics, where he may have picked up some of the ideas. Yes! I was going to mention that. At one time I read some of his “operational calculus” in the original. He did a lot more in mathematics than is usually mentioned. The IEEE spectrum did an extensive article(issue?) on him in the 80’s. So how did the Maxwell equations look like before him? thanks a lot, you’re doing a gods work! Now if he had only come up with geometric algebra. So close! I wonder if he knew Clifford. Oddly there’s a connection between T.S.Eliot and Oliver Heaviside. After investing a goodly portion of my academic and post-academic endeavors in E-M theory and practice, I can honestly state that Oliver Heaviside was never mentioned as anyone even remotely approaching a contributor to the efforts of Maxwell or Dirac. People and textbooks speak of the codification of the laws of electrodynamics to Maxwell’s equations, and not to any effort on the part of Heaviside. This is the first time I’ve ever heard that, through the use of the Hamiltonian, Heaviside “simplified” Maxwell’s equations. Same thing regarding Dirac: Dirac invented the operational calculus, and NOT Heaviside. Have you ever heard of the ‘Heaviside Delta Function’, or the ‘Heaviside’ Impulse Function? How about the “Heaviside Step Function”? No? I didn’t think so. Make no mistake–Oliver Heaviside contributed quite a bit to Electrical Engineering and the understanding of some of its mathematical underpinnings (the first thing that comes to mind when hearing the name is the ‘Heaviside Expansion Theorem”, an elegant and useful tool). Heaviside’s tendency to ignore, and view with disdain, the need for anything approaching formal proof of his work is his biggest liability. As Mathematics and Electrical Engineering professors like to characterize his “proofs”: “…a whole lot of vigor without very much rigor”; and “…proof by vigorous assertion…”. I can;t think of any physicist who credits Heaviside with a basic contribution–aside from possibly making the arithmetic easier–to the advancement of his work. The “Heaviside Step Function” is taught alongside the “Dirac Delta Function” in Electrical Engineering linear system classes. Heaviside made Maxwell’s equations accessible, practical and useful. Add in his contribution of the the Telegrapher’s Equations and his impact on modern day communications is incomparable. We don’t care what the physicists think of Heaviside, he’s one of ours. Go back to your ivory tower and write some more research papers, we have real work to do.